The Colchester Orchestra gave a concert at St. Botolphs church in Colchester on the 7th of May 2011. The programme included Grieg's Peer Gynt Suite No. 1 op.46 and Schumann's Koncertstr�ck for Four Horns and Orchestra as well as the Bartok Concerto for Orchestra. The conductor was Chris Phelps. 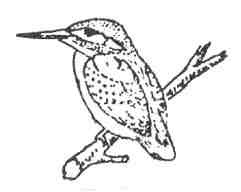 Please note that the picture is the logo for the leader, Beth Spendlove's Kingfisher Ensemble.